Embry Riddle has become the first university to offer high altitude training to the public by way of a normabaric chamber. If you are unfamiliar with what a normabaric chamber is, it is a normal barometric pressure device that uses “scrubbers” to remove the oxygen from the chamber enclosure. This allows the simulation of high altitude conditions up to 30,000 feet. The HAL (High-Altitude Laboratory) opened at the university in early 2009. Professor Glenn Harmon, an aerospace physiologist and assistant professor of aeronautical science at Embry-Riddle, is responsible for much of the work in the creation of the lab and development of the training curriculum. Harmon explains the lab chamber works by removing oxygen from the normal content of the air. This allows participants to experience hypoxic symptoms without the problems of a pressure change. “Therefore, there is no danger of ear or sinus blocks, trapped gas, or decompression sickness such as the bends,” Harmon explained. The university originally planned the laboratory for use in the university’s Flight Physiology course, but recognized a need within the aviation community. Soon, university officials made the specialized training available to the public. Students going through aviation training are required to take the physiology course in order to learn of their personal hypoxic symptoms. 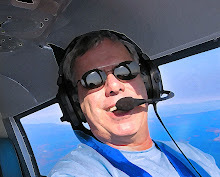 One aspect of flying at high altitude is the possibility of an hypoxic event. 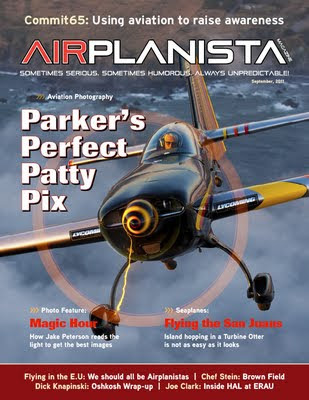 Last May, a 70-year-old pilot flying his SR-22 Cirrus from San Bernadino, CA to Colorado Springs, CO passed out at the controls while flying at altitude and over high elevations. His wife, who was not a pilot, was able to control the aircraft well enough with the help of a Great Lakes airline crew who guided her over the radio. Fortunately, she was able to bring the aircraft down to a lower altitude where her husband regained consciousness. The incident served to illustrate the necessity of every pilot knowing his or her personal hypoxic symptoms and being able to take action early. Every pilot suffers unique symptoms when experiencing hypoxia. The only way to know exactly what your symptoms are is by training in a hyperbaric or normobaric chamber. Also, pilots should be well-versed in the physiology involved as well as other problems of high altitude operations. Prior to the university opening its normabaric chamber, pilots had few options when it came to high altitude training. A few military chambers around the country provided training for civilian aircrew. Availability of this training began to decline with base closures and financial cutbacks. For those participating in the training at ERAU, they will receive classroom training in topics covering basic high altitude physiology, respiration, and the causes and symptoms of hypoxia. Following the classroom work, a thorough brief covers a description of the chamber and components including the oxygen masks, pulse oximeters and other equipment. Lab staff will assign up to eight personnel inside the HAL and the instructor will guide them through the procedure for noting their individual hypoxic symptoms, how to complete checklists, work puzzles, and more. After each person has noted their personal symptoms, they will recover by pulling on a quick-donning mask that delivers 100 percent breathing oxygen. For more information about participating in this invaluable training, you can contact Professor Harmon at (386) 226-6843.